We provide a tailored service from web creation and design, to on-going maintenance and support. We recognise the importance of your website to your business, and our aim is to work with you to create the perfect website which can grow as you do. Based in Nottingham city centre, at the heart of the Creative Quarter, we are always happy to travel to discuss any projects so why not get in touch? There is nothing less personal than talking or emailing to a nameless face, so here’s a bit about the man behind HeX Productions. “With over 10 years of experience working in the web industry in the public sector, I began freelancing in my spare time. In 2014 and with an increasing client base, I decided to take the plunge and turn HeX Productions into a full time business. As a self-confessed geek, I am passionate about all things web from working on small independent projects to large local government sites and developing mobile and social strategies to enable easy access to information on the move. 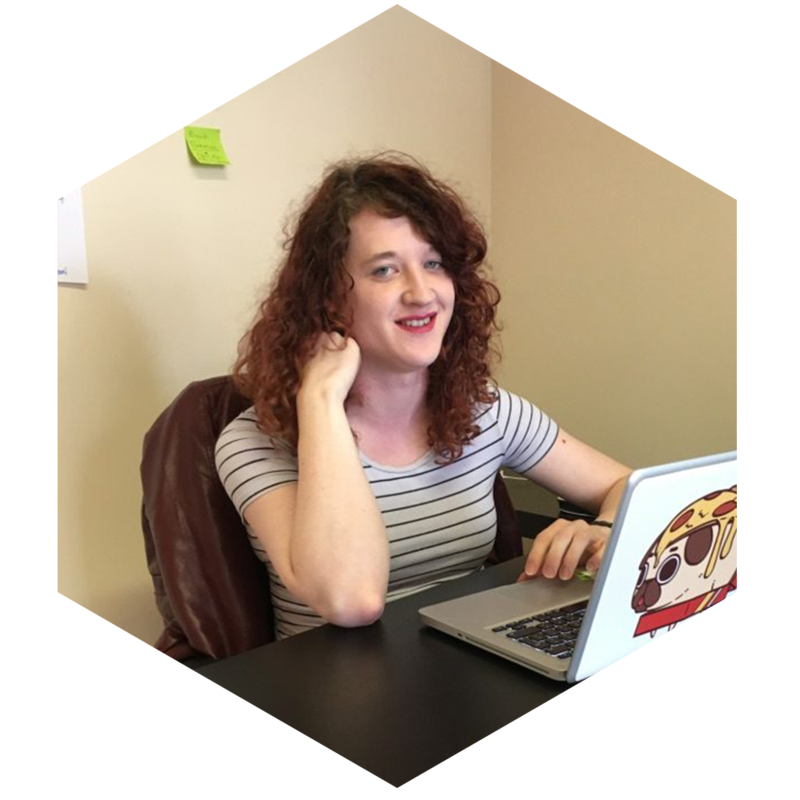 Zara has been a part of HeX since early 2015 when she started as a Junior Web Developer. Zara has a passion for design, the creative arts, is a keen photographer and an unpracticed musician. She enjoys the outdoors, anything with an engine and riding her motorcycle. 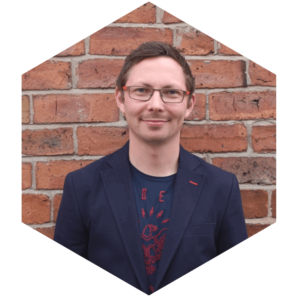 Jon builds brilliant, responsive WordPress websites for HeX and his skills and experience span a variety of areas including marketing, design and UX through to XHTML, CSS (Sass), JS and PHP. 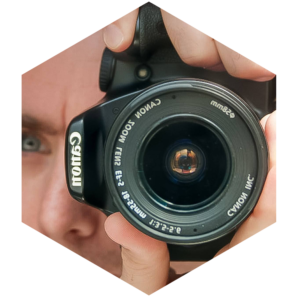 After spending eight years as Graphic Designer while building WordPress websites on a freelance basis in his spare time, Jon took the leap and joined HeX Productions as a Web Developer. Outside of work he loves to keep fit, watch movies and play board games with his friends. He has a dog called Nemo, and is a lapsed cricketer (he’d really like to get back in to it one day). Jess joined the HeX team as our Web Apprentice, having finished her last placement with a company called Feed it Back, where she helped to develop a feedback management system which is used in the catering industry. 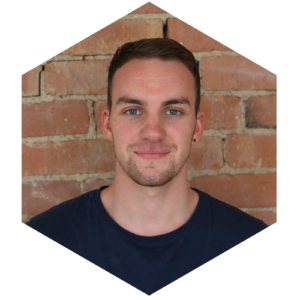 Ben looks after social media marketing, blog posts, website content and general PR for HeX and our clients. Ben is always on the hunt for the most up to date and effective ways to increase client engagement, both online and offline. 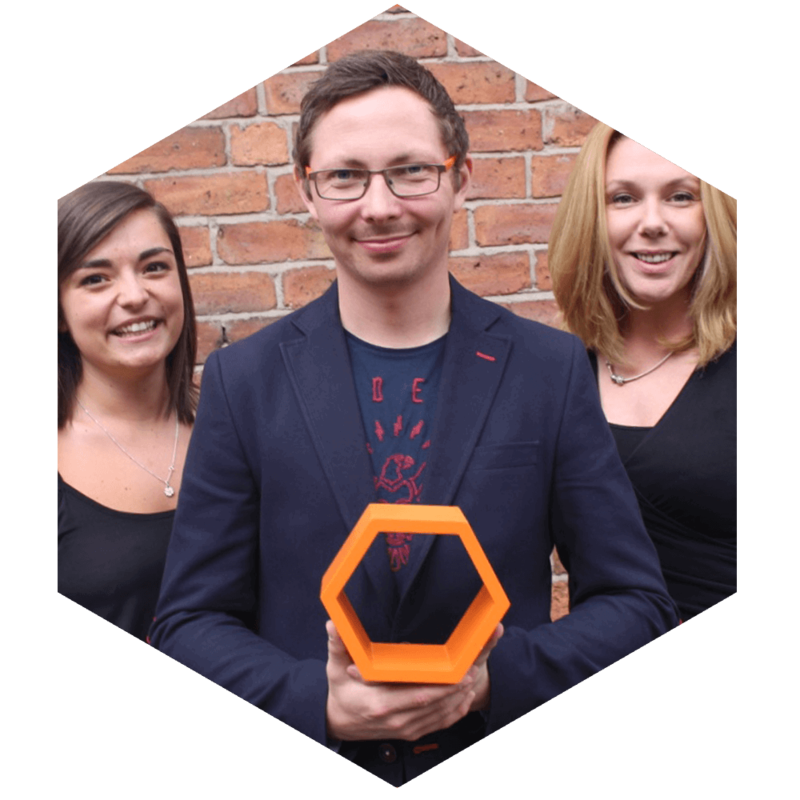 Prior to joining HeX, Ben caught the marketing bug when he took on responsibility for a friend’s online store, managing their social media and customer relations. He also did a marketing apprenticeship with a Derbyshire PR firm putting his self-taught knowledge to practice. Nowadays, Ben loves nothing more writing engaging blog content, and seeing the increase in social analytics at the end of the month. When he’s not at work, Ben’s a film-buff, though he does (despite the tech-centric job) like to get outdoors and walk in the Peak District from time to time. 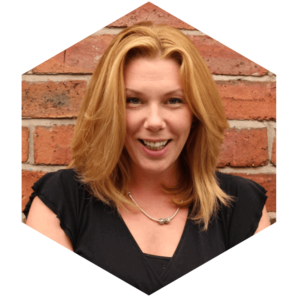 Caroline helps our clients with content – blogs, website pages, marketing material and social media. She’s worked as a communications professional in banking and for various local government agencies in Nottingham. 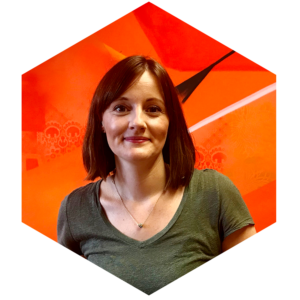 With 15 years of experience under her belt, Caroline’s a safe pair of hands for all things spelling, grammar and punctuation and can quickly create engaging content to meet clients’ needs. 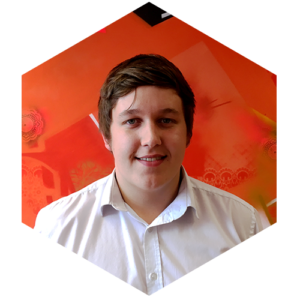 Matt works on everything design related including branding, print design and web design. 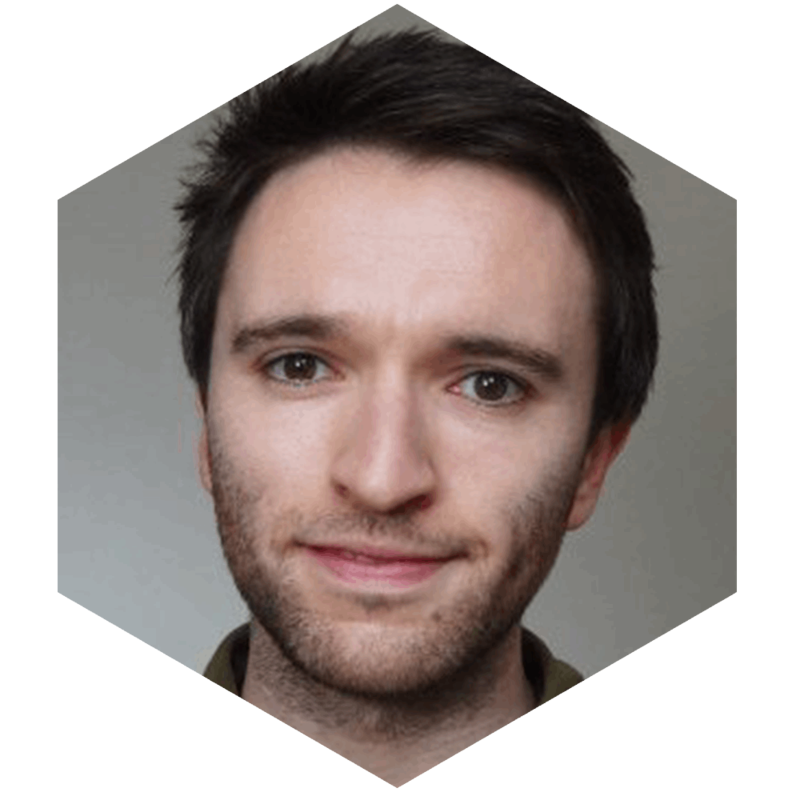 With over 4 years of experience in graphic designer, Matt was previously an in-house designer at an agency and has been a full-time freelance graphic designer with HeX for the past year. In his spare time, Matt enjoys going to the gym, playing football and watching a good TV series! Ben is one of our freelance web developers. He has over 8 years of web development experience having worked on hundreds of web builds over the years. Ben specialises in behind-the-scenes code, making things work and function rather than working on the visual side of projects. Ben also runs his own professional sports photography business, and regularly uses the knowledge gained from this to ensure images are properly created and set up for the web. In his spare time, Ben devotes his time to his young daughters while squeezing in the odd 15-mile run.